Not every person that reads Bankruptcy-Explained is an assiduous saver. In fact, some of you tell us that you find it impossible to put any money aside, however much you earn. We invite you to reconsider this view. If you think that it is not possible to save as little as £100 a month, then it’s time to add up how much money you are wasting on small purchases every day. These indulgences mount up; some of them also make you fat and unhealthy — so extra fitness could be one side-effect of your new regime. Eight pints of lager (the average price of a pint of beer is £3, according to the 2012 edition of the Good Pub Guide) and a pack of 20 cigarettes (Marlborough Lights cost £6.21) a week equates to £130 a month. Two medium cappuccinos to take away from Starbucks (price £2.50) per weekday adds up to £108 a month, as does the cost of buying a £5 lunch every weekday from Pret A Manger or a similar chain. Giving up smoking is another way to free up some cash to build your rainy-day fund. One reader who kicked the habit three years ago calculates that he has saved £2,900 by giving up smoking. This estimate is based on the purchase of three packets of cigarettes a week; he adds that this is a conservative estimate, since when he went out for a drink with friends he would smoke more. A bank or building society regular savings account is an easy way to save a lump sum fast. These offer higher rates of interest than other savings accounts but there are some tight restrictions. Savers are required to make a deposit of a certain amount each month; lump sum payments are not allowed. There is usually a monthly minimum (from £1) and maximum amount (usually up to £250-£300). The high rate of interest is only available for a certain period — usually 12 months — and once the term is up, the rate of interest drops considerably. If you withdraw your money or fail to make a monthly payment you could forfeit your rate of interest. 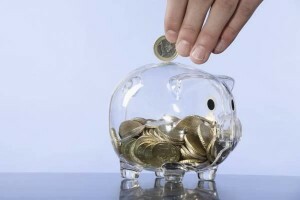 While some rates look extremely impressive (first direct offers a regular savings account with 8 per cent interest rate to its customers), it is important to remember the interest is calculated monthly so you only get the interest on the money in the account at the time — not on what you have built up over the course of the year. For example, if you took out an account with a 10 per cent interest rate and saved £100 a month for a year, you would only earn 10 per cent on the full £1,200 in the 12-month period. The interest — usually paid annually — is taxed as well. To find out how much interest you could earn, use a regular savings account calculator. Linked accounts are not required and the highest minimum deposit per month is £25. thanks for this article!! will definitely follow your tips to start putting some money aside each month! much needed!! Be sure to let us know how you get on in our forum. This article is very much important for me. Because I need saving money. Wallet doctor provide great tips for saving money. I like this article. I found this article really interesting! It highlights nicely how the average person can easily save money by cutting out bad habits such as smoking. The section highlighting different interest rates through the various banks was also very useful.